There are a lot of reasons why Americans are storing more items than previous years. To be precise, there are a near incalculable number of individual reasons, but there are also broader trends at play that are motivating people to seek out self storage space. Some people are motivated by a fear of the future while others have a more hopeful outlook that causes them to seek out a place to keep their belongings. Then there are some basic economic realities that also need to be factored in. Americans tend to consume and purchase more than they need, and end up accumulating things over time. Many have more belongings than ever before, and eventually, there will be a natural need to store many of these belongings. As the quantity of belongings have grown, so too has the number of places offering storage. This increase has prompted people to seek out the best deals, which in turn have led to companies offering more affordable rates. Storage is now more readily available and more easily accessible than ever before. 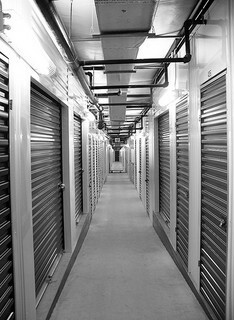 There is also the recent economic down turn to consider, but self-storage is considered to be recession resistant. It is not going anywhere any time soon – in fact, it’s growing. It is an affordable way to help us stay organized. As a result, more people over the last decade have chosen to rent rather than buy a house. This usually means that they have less living space, but they may have still accumulated a large number of belongings and have a need for somewhere to put them. There’s also the fact that more young adults are living at home, so there are more adults living in a household than may otherwise be normal. This also means that there is less space in the home and more need for external storage solutions. Also as a result of the economic downturn, people are worried that things could get worse. In the event that that were to happen, many people want to have a large quantity of items stashed. There are an increasing number of people who are interested in survival scenarios and many of them are using self storage areas to stash goods they might want down the line. In addition, we have seen an increase with individuals moving out of big homes, into small apartments, and from suburban life to city life. It’s also worth noting that there have been popular culture trends that have promoted the use of self storage space. 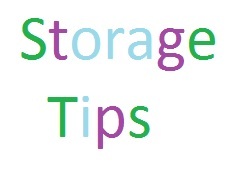 Shows like “Storage Wars” make the idea of storing your goods away for a long period of time seem entertaining and exotic. Shows like “Antiques Roadshow” demonstrate the ways that seemingly mundane items can appreciate in value over time and wind up being sold for a substantial amount of money. Rather than fearing for the future, some people are holding out hopes that the goods they have accumulated over their lifetime hold some secret value just waiting to be tapped into. Of course, most of the time this probably is not the case, but it definitely does happen. In the long run, keeping storage as an option can save you a great deal of unnecessary time and money.